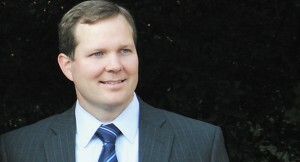 For Matt Hoskins, bashing Republicans is good for business. The leader of the Senate Conservatives Fund has built his operation into a financial juggernaut by throwing bombs at sitting GOP senators, propping up obscure primary challengers and deeming virtually anything proposed by Republican leaders in Washington as insufficiently conservative. Even in the era of super PACs and full-time campaigns, rarely before have GOP senators endured a barrage of attacks launched across the airwaves by members of their own party — something that could complicate the Republican drive to win back the Senate majority this year. Hoskins’s group posted huge fundraising totals in the months when it was most sharply critical of GOP senators — during the government shutdown — and a review of federal records shows the group has paid him and his company roughly $535,000 over the past three years. To his backers, the 38-year-old, California-based operative is an influential pit bull, seeking to purify the GOP by ousting establishment squishes. Those supporters see a man of principle, one who is, as an ally put it, “a true believer” in the cause.